Latin American wind is predicted to have a 20 percent compounded annual growth rate. Wind in the Americas will add 92 gigawatts of installed capacity between 2013 and 2020, but while North America will grow at a steady six gigawatts per year pace, South America will boom, according to MAKE Consulting’s first Americas Wind Power Outlook. Evidenced by the American Wind Energy Association’s analysis that the industry is ready to phase out its production tax credit (PTC) by 2018, the U.S. wind market appears to be maturing and facing obstacles. 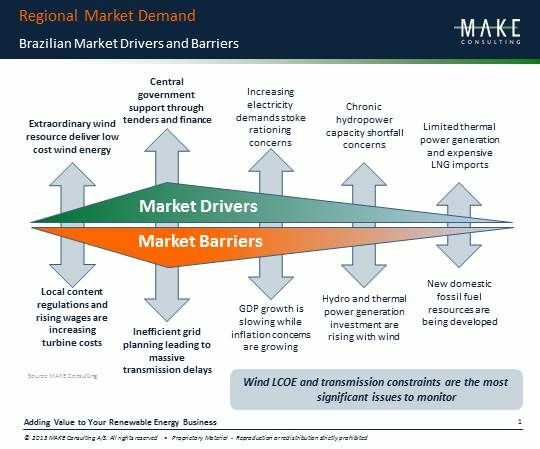 “Policy fulfillment, surplus power, and competition from inexpensive gas and hydroelectricity will impact demand for wind power in North America over the next eight years,” the MAKE report said. As a result of the recent but belated PTC extension and similar short-term policy supports in Ontario and Quebec, North American growth will fade in 2013 but, according to MAKE, will rebound from 2014 to 2016. Beyond that, growth will level as onshore wind’s LCOE becomes increasingly competitive and coal plants in the U.S. and Canada are retired. In Latin America, though, “only recently have regulatory frameworks been executed to spur growth,” MAKE reported. And governments there are looking for the electricity to support their emerging economies, to alleviate variations in hydropower and other seasonal electricity sources, and to shore up the threat posed by insecure imported power sources, according to MAKE. 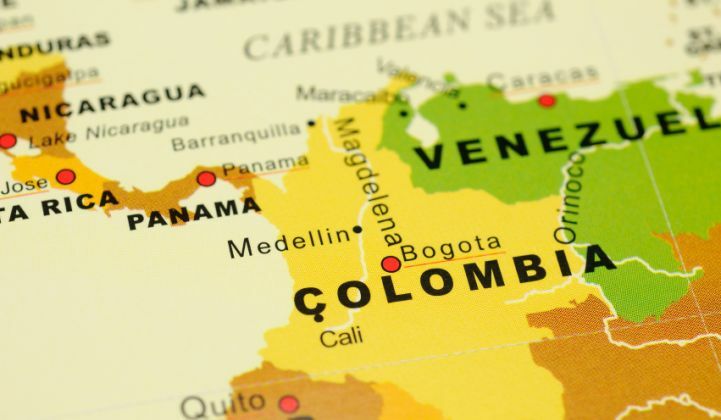 Some of the world’s most important turbine manufacturers, including GE (NYSE:GE), China’s Goldwind (PINK:XJNGF) and Denmark’s Vestas (PINK:VWDRY), are moving into Latin America, as GTM recently reported. Remaining barriers to growth are inadequate infrastructure, volatile politics, and ineffective policies.